Several of our clients entrust Kiote Services to administer every facet of their online presence – from designing and developing their website to managing critical digital marketing platforms which help them reach their goals. Sounds tricky? No worries, contact us and explain where you want to take your brand and we will develop a comprehensive plan to reach your goal. 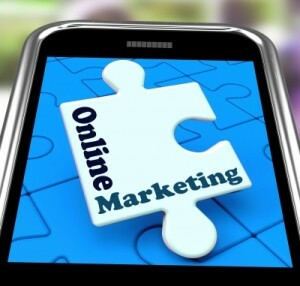 With Nigeria fast approaching 60 million internet users, digital marketing is the newest frontier to reach customers. Kiote Services offers search engine marketing, website display advertising and mobile-focused adverts. Kiote Services employs Google AdWords certified professionals, meaning that they have passed multiple exams that assess their product expertise. We are qualified to help you grow your business on the web using the Google AdWords platform. Kiote Services specializes in Business Process Management (BPM), consulting for mid- to large corporations, nonprofits and public sector organizations. Kiote Services will help you be more effective and more capable of change. No matter your industry, our broad and deep knowledge on how businesses and organisations work will enable us to make improvements in your operations. We will collaborate with you every step of the way to deliver the kind of innovative solutions that result in maximum efficiency and effectiveness, elevating your overall business performance. The key technologies that Kiote Services utilises in BPM are Enterprise Resource Planning (ERP), Cloud Computing and Business Process Outsourcing.